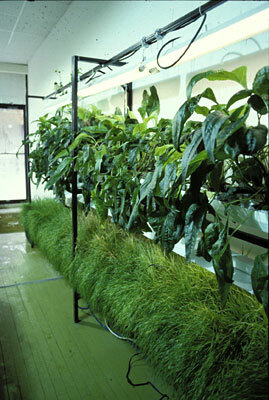 Commissioned by Sculpture Chicago's "Culture in Action"
Flood — a group of twenty to thirty people initially organized by Haha — built and maintained a hydroponic garden in a storefront on the north side of Chicago. 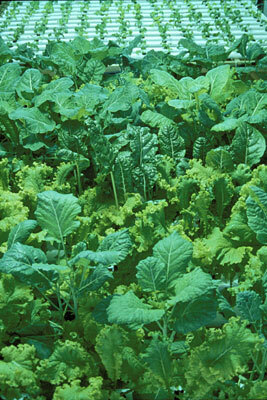 Participants grew vegetables (kale, collards, mustard greens, swiss chard) and therapeutic herbs for people with HIV. 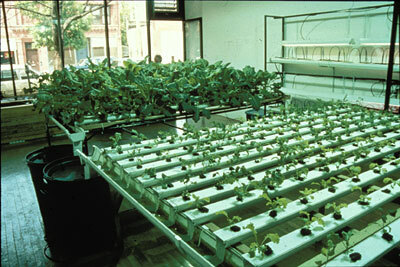 For several years Flood provided bi-weekly meals, educational activities, meeting space, public events, and information on alternative therapies, HIV/AIDS services in Chicago, nutrition and horticulture, as well as a place to garden. 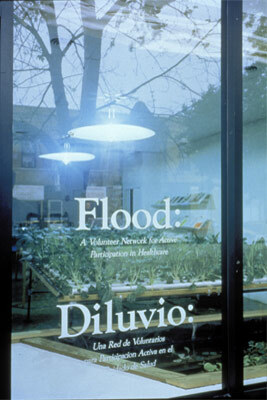 Although the storefront closed in 1995, Flood was instrumental as a future-directed seed project in several important ways. Flood participants volunteered at social service organizations in Rogers Park as well as in the Chicago metropolitan area. 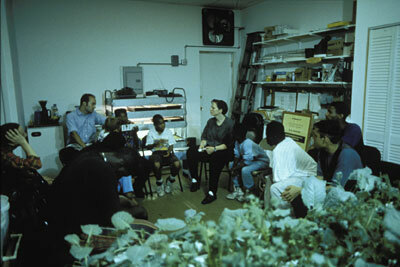 Flood hosted a series of round-table discussions between social service and community-integrated organizations. 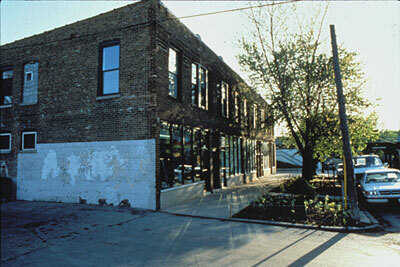 As a result, a collective effort emerged to build a comprehensive HIV/AIDS facility in Rogers Park. 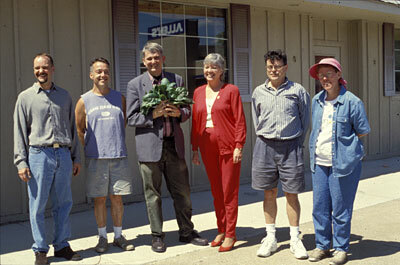 Opened in 1997, the facility contains a food pantry, an alternative high school, a community center, and administrative offices for four organizations. 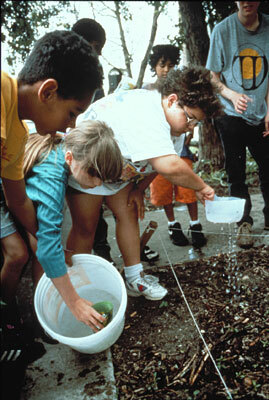 In addition, Flood worked in other communities (Dekalb, Illinois; Cedar Rapids, Iowa) to plant gardens, each of which developed the project relative to the local context.